We decided to race the "Battle at the Brickyard" as our first USAC .25 National race. 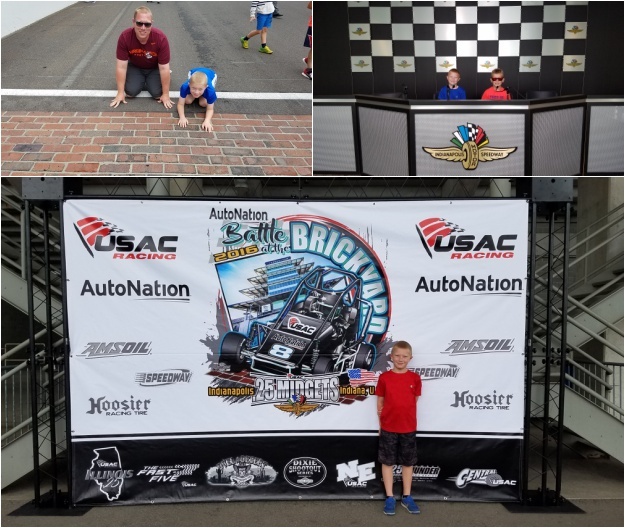 We traveled to the Indianapolis Motor Speedway in Indianapolis, IN, to enjoy a whole week of racing between Mini Indy and the Brickyard (with a little vacation in between). 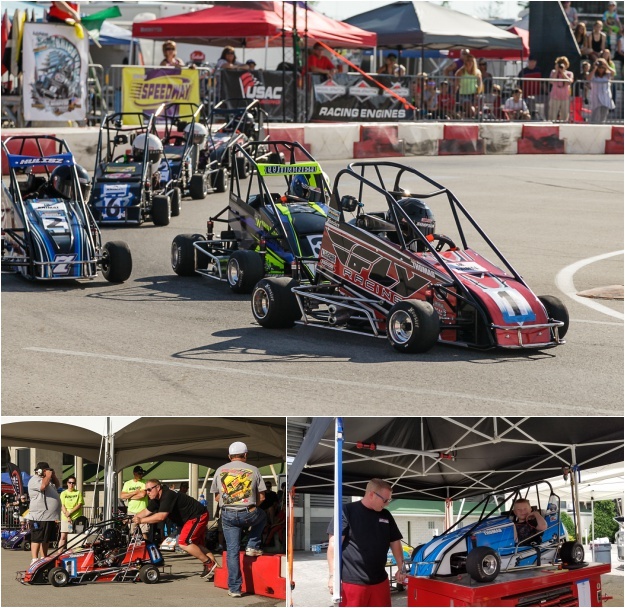 There were a record setting 550 cars registered, with 58 Jr Hondas and 44 Jr Animals! It was a very memorable experience. 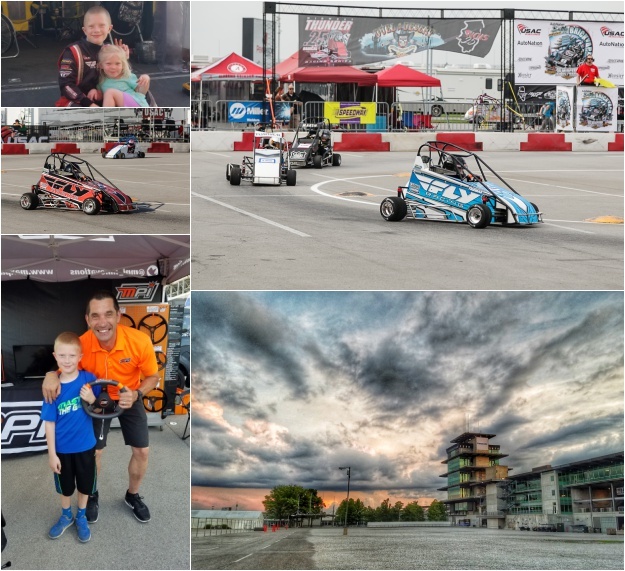 Once inside the gates of IMS, we enjoyed getting to explore a little bit of the IMS grounds around the area where we would be racing. Interestingly, the race would actually take place at a temporary track set up in the parking lot. The opening ceremonies were really impressive with bagpipers, all the drivers walking a lap around the track grouped in their regions and a balloon release. Dillon also got to meet professional race car driver Max Papis (creator of our MPI steering wheels). USAC used heat races to set the starting order and lower mains. Dillon started 6th and finished 4th in his Jr Honda heat race. He started 1st and finished 4th in the Jr Animal heat race. He made some good passes but had to come up from the back after a spin. There were 69 heat races. There were 56 lower mains and Dillon needed to finish 4th or better in each of his to guarantee him a starting spot in the next one to try to work his way into the feature races. In Jr Honda, he started 5th in D Main and finished 4th. That resulted in a 10th place start for the C Main. He finished 5th in the Jr Honda C Main, making him the X car for the B Main. In Jr Animal, Dillon started 4th in the D Main and finished 5th, but someone left that was supposed to be in the C Main, so Dillon made it in and started 10th. 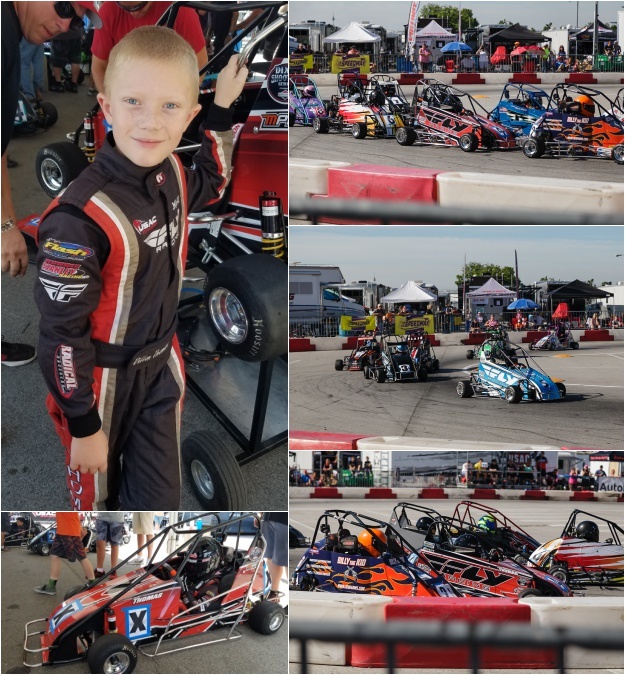 He ended up with a 5th place finish in the Jr Animal C Main (just inches from 4th - it was a photo finish), which made him the X car for the B Main in that class, also. Unfortunately, Dillon ended up not making it out for either B Main since all the other cars were able to complete the first lap in each. We'll finish our first Battle at the Brickyard experience 17th out of 58 cars for the Honda and 17th out of 44 cars for the Animal. Not too shabby for our first try at this event! 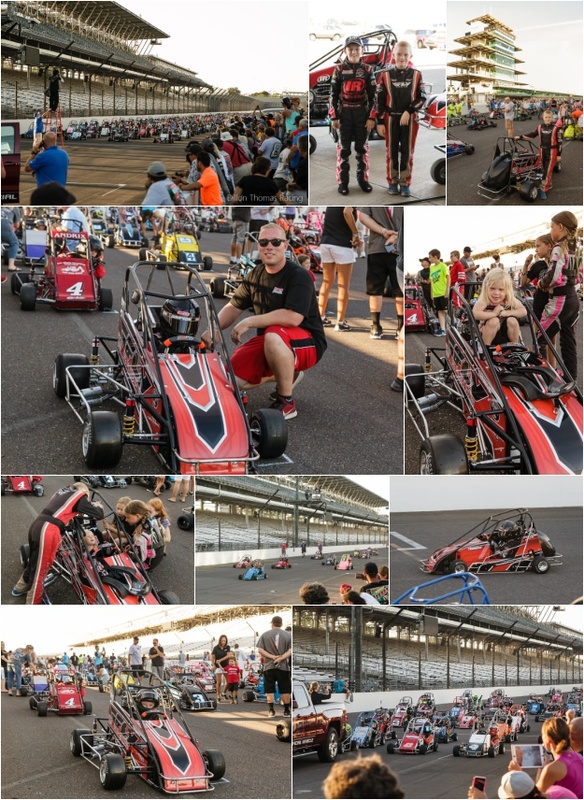 The really cool thing about this event is that it also gives the quarter midget drivers an opportunity to take a lap around the famed IMS track. 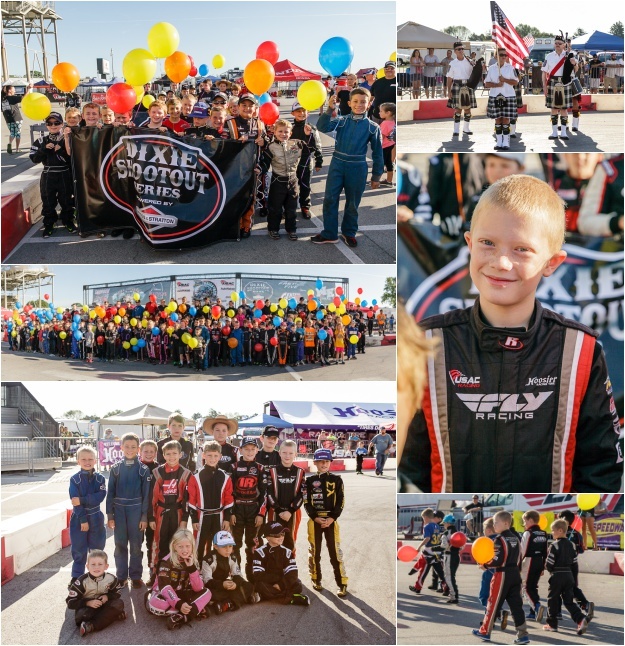 It was such a cool experience for Dillon! Over the course of the lap, he managed to make it to the front of the pack, finishing up front just behind the pace truck. You can see some of the videos from the "Lap of Legends" here.